Retaining walls can be used for practical reasons such as soil retention, gaining additional ground or just as an accent around a flowerbed or garden area. Segmental concrete retaining walls offer the most choice, sizes and strength. Some require pins or clips to develop strength and alignment while others offer interlocking portions built into the block for ease of use. 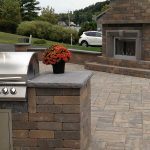 Saratoga Masonry Supply certainly has the widest selection of manufacturers, styles and colors of manufactured thin stone veneer in the Capital district. Molded, shaped and colored using natural ground stone and lightweight aggregates the advantages and application of manufactured thin veneer is endless inside or out. 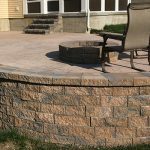 The heart of any masonry company is its ability to stock, offer and supply all the basic needs used in masonry construction. We have spent much time in the field learning the application and use of every product we sell so that we can assist you in explanation of the proper products, tools and materials you need to complete your job.